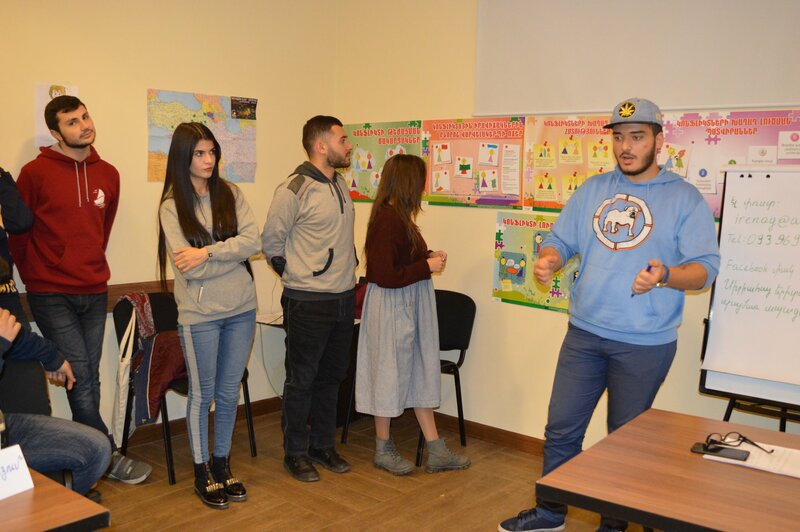 On November 16-18, 2018, the training “Memories of Past and Future” was held in Aghveran within the project “Better Future for Syrian-Armenian Youth”. 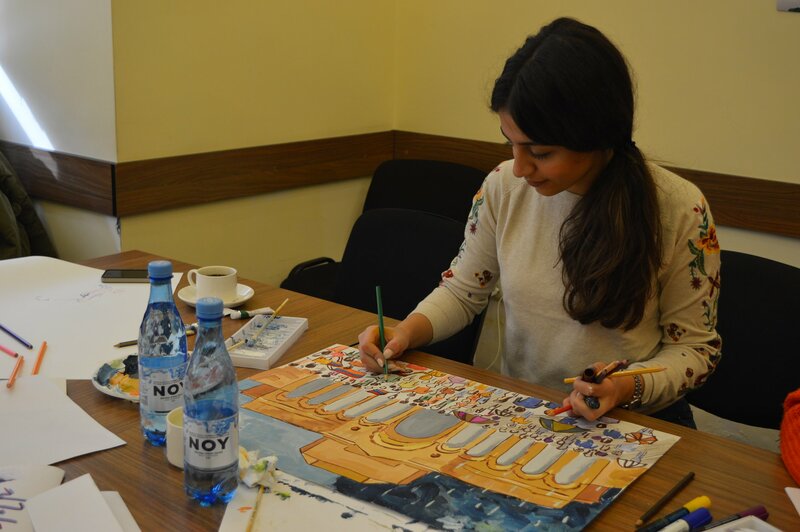 The project is funded by the World Council of Churches Armenia Inter-Church Charitable Round Table Foundation (ART) and co-implemented by “Aleppo” Compatriotic Charitable Non-Governmental Organization. 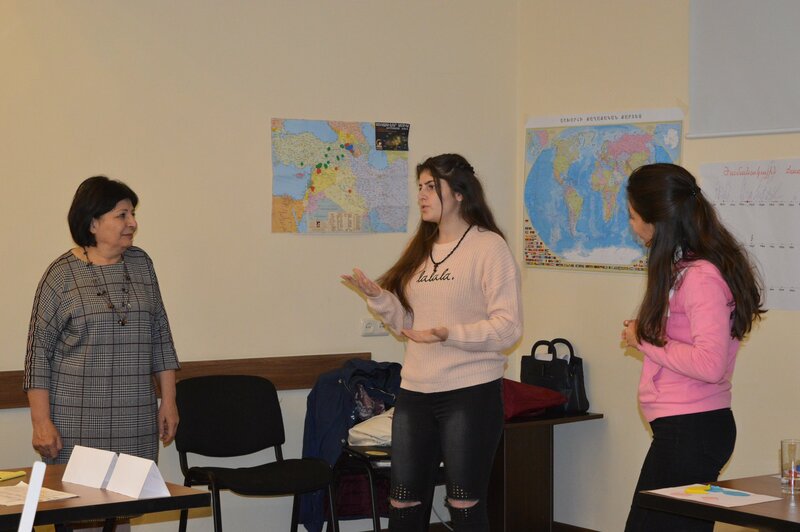 The trainers, representatives of “Women for Development” NGO of Gyumri, received training in Germany during 2006-2009 within OWEN program ((Mobile Academy for Gender Democracy and Promotion of Peace – www.omnibus1325.de). 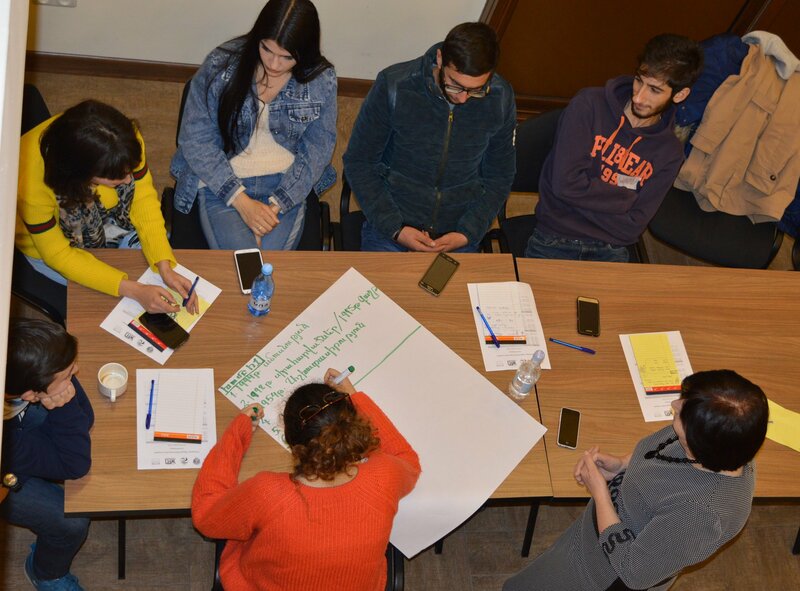 The program targeted civil society representatives and professionals working in the field of peacebuilding in the Northern and Southern Caucasus. 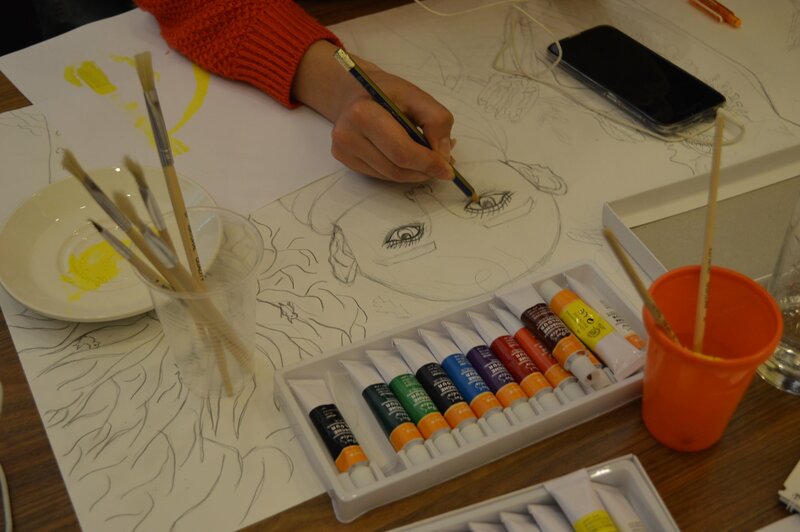 One of the training modules, designed with special methodology, referred to the analysis of historical memories. 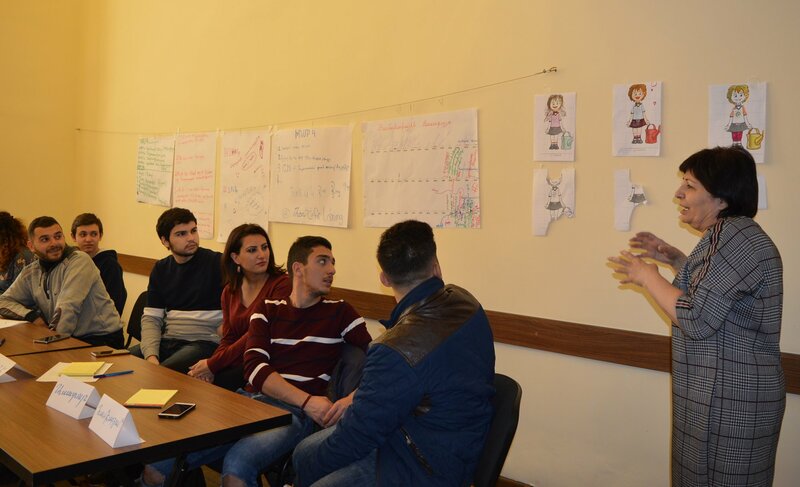 As a separate training this module was later delivered to the youth of Armenia (Gyumri, Vanadzor) and Georgia. 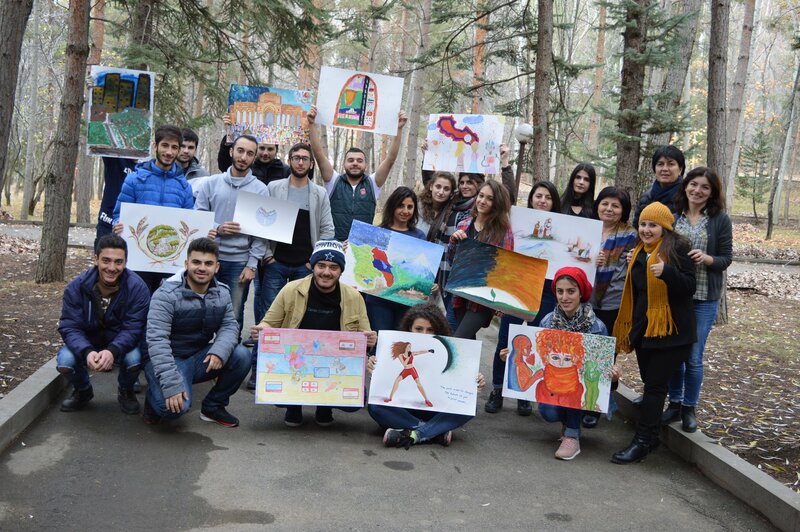 22 participants of the training – youth from Syria and Shirak region of Armenia – learnt to analyze and transfer personal, family, community and national memories without causing harm to the future, they learnt to pass the memories to the future generation, to bear the memories and, at the same time, to build a fulfilled future in a new setting and new place. 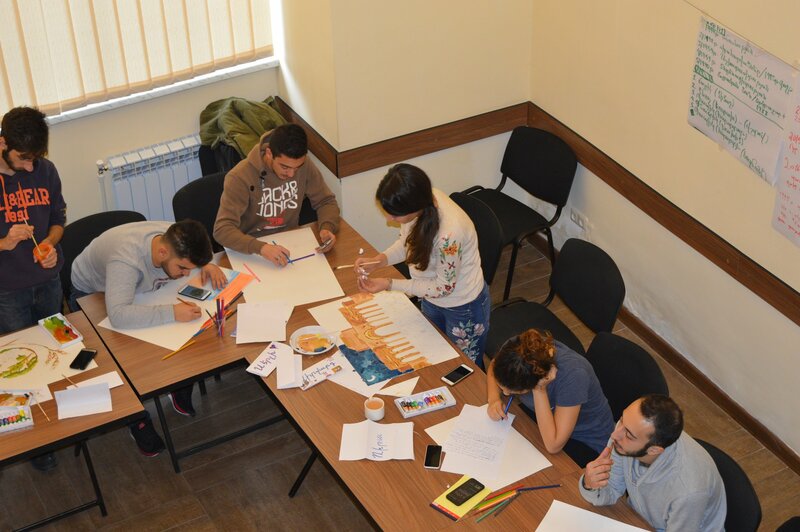 At the end of the training the young participants were engaged in a creative work – writing essays and creating paintings, reflecting their thoughts about their future in new Armenia.